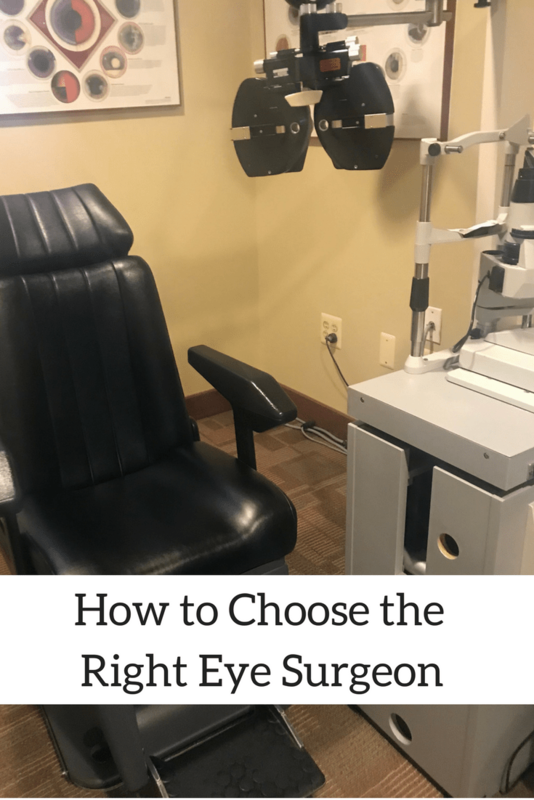 When I decided to have LASIK Eye Surgery one of the things that were most important to me was choosing the right eye surgeon. I had, had a family eye doctor for years and I had been evaluated for LASIK surgery several times but never felt ready to do it. 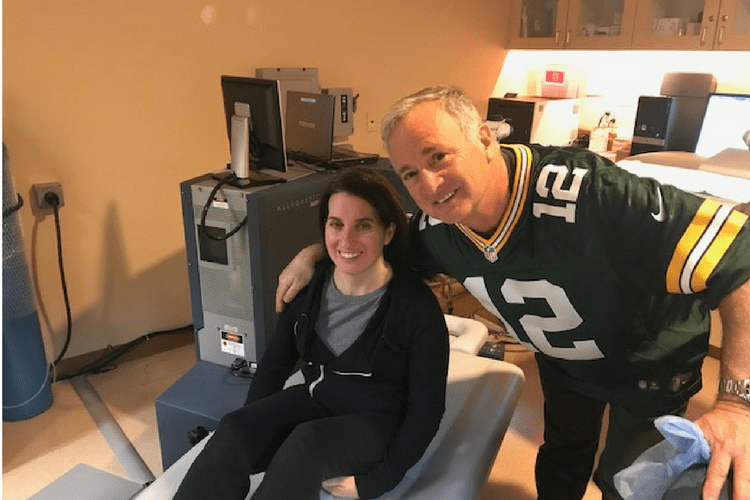 I think part of my hesitance was that I hadn’t found the right eye doctor, that made me feel comfortable with the procedure and who had a reputation for excellence. Afterall this is my eyes we were talking about and I wasn’t going to risk my vision on just any doctor. I live in Southern New Jersey where we aren’t really well known for our doctors. Often times when someone has something more than just a general illness you will hear it suggested they travel out of the area to a better doctor. Traveling two hours to a better doctor with state of the art equipment and a renowned reputation is worth it. When dealing with your eyes you want someone who is well known in their field. You also want someone who is up to date on the latest procedures. When looking for an eye surgeon I wanted someone who was known for doing Lasik, not just someone who does LASIK. Dr. Cary Silverman at EyeCare 20/20 has the reputation for being the “Pioneer of Lasik”. He has also performed LASIK on Olympic athletes. If Olympic Athletes trust him with their eyes than I can too. It may seem weird but I want a surgeon that I like. I’m trusting this person with my vision and I want to feel like not only am I in capable hands but also that I’m in caring hands. I want someone who cares about his patients. When talking with Dr. Silverman at EyeCare 20/20 I got a sense that he is interested in his patients. His exam rooms feature pictures of patients who he has treated. When talking with me about my surgery he asked about my lifestyle and my children. This isn’t someone who is just performing a surgery it is someone who clearly cares about his patients. When I went for my LASIK surgery consultation, Dr. Cary Silverman at EyeCare 20/20 met all of these criteria. Additionally, when I spoke with his staff I really enjoyed learning about Dr. Silverman’s philanthropy. Each Fall he hosts a “Vision Harvest” where he provides free cataract surgery to those in need. I’m so happy that I found an eye doctor who met my standards to perform my LASIK surgery. Dr. Cary Sivlerman and the staff at EyeCare 20/20 made me feel comfortable and confident with my decision to put my eyes in their hands. If you have been thinking about getting LASIK eye surgery, Dr. Silverman and EyeCare 20/20 are offering Wine In Mom readers $1000 of their LASIK procedure. Just mention Wine In Mom when you call to schedule your consultation. You can learn more about LASIK Surgery, EyeCare 20/20 and Dr. Silverman by visiting EyeCare 20/20. You can also follow them on Twitter, Facebook and Instagram. This is a sponsored post on behalf of EyeCare 20/20. All thoughts and opinions are my own. I have been thinking of doing this for YEARS but I am such a wimp so I haven’t yet! Love your blog and your sense of humor! As soon as I read the name of your blog (from the Facebook group) and saw that you also live in NJ, I knew I would enjoy reading along. And you’re a Bachelor fan as well! Nice to “meet” you! Thank you, Shelley! It took years for me to decide to get LASIK and I keep saying that I wish I had done it sooner. Nice to meet you too! !